Having a job that travels would be a dream for me. Exploring parts of the world, experiencing different cultures, learning various languages, eating cuisines of different races and meeting different people would be a wonderful job. What job does involve travelling though? Being an archaeologist lets me dig up artefacts. Becoming a flight attendant is another but I am not really good at handling crowds, especially in an emergency. A photographer would be right up my alley. Teaching English is also another as I’m thinking of pursuing to become a teacher after my National Service. Maybe if I’m thinking of living dangerously, how about as an international arms dealer? 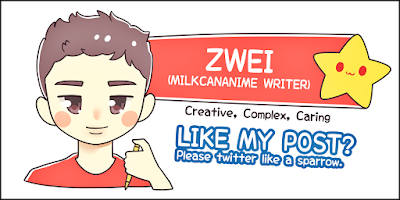 It has been a long time since I did a review on an anime. Probably because of my lack of confidence in doing one. Anyway, today, I’ll be reviewing Jormungand and Jormungand: Perfet Order having just recently finished it despite it airing seasons back. My review may or may not be influence by another story, which is Descendants of The Sun as I have also finished it quite recently as well. 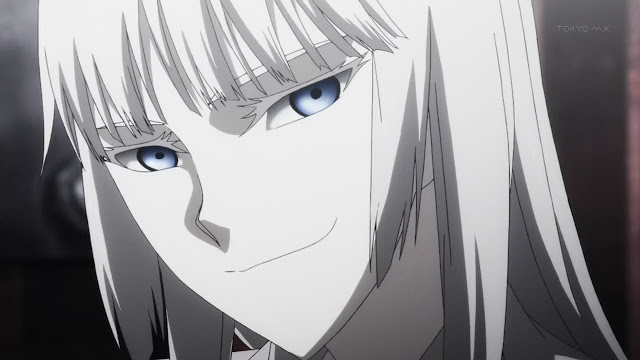 I picked up Jormungand having hearing it from a friend whom was watching it at the time it was airing but I wasn’t interested in it back then. I had tab to watch it on another day but never got around to do it. But when DoTS was airing, I decided to give it a go and marathon both seasons. 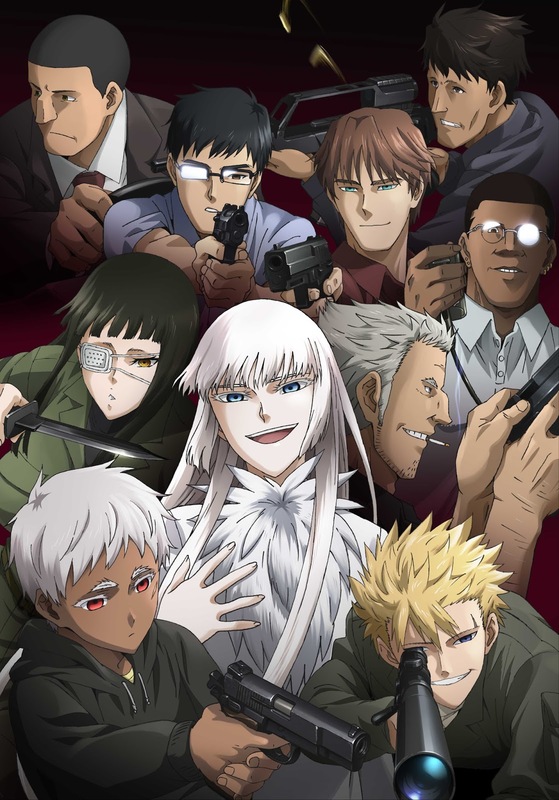 The story of Jormungand follows an international arms dealer and her bodyguards where they travel to different parts of the world selling, well, weapons. As one might have guessed, the story has action in it ranging from and all out guns blazing to an occasional airstrike on mountains. The story travels to different countries facing different forms of conflict every time but it is still mostly gunfights. 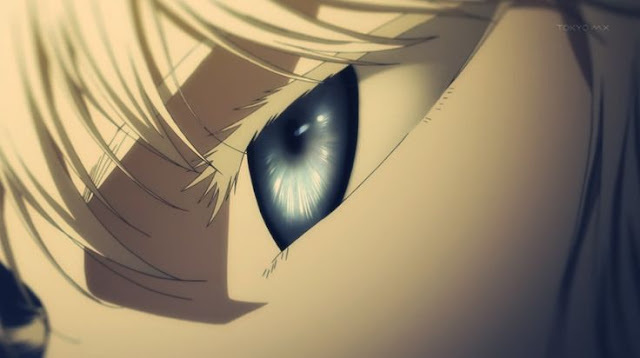 The story mainly focuses on the two main characters, Koko Hekmatyar and Jonathan Mar or Jonah as they call him in the show. The Voice of God is mainly from Jonah as he is a new recruit to Koko’s team. We are sort of put into Jonah’s shoes where we learn more about Koko and her bodyguards from not necessarily Jonah’s POV as they do switch from First person to Third person. They do give the supporting characters at least an episode to flesh out their backstory, which some of them I actually like a lot, but there are others that I felt were a bit short, like they could explain and expand a bit more. The story isn’t necessarily action and adventure as there are some comedy elements included to liven up the mood as we get deeper in the pit and further in the story. As the story progresses on, the crew gets involve with more characters where some are with them and most against. And at the end of the first season we are sort of introduced into a secret thing that’s going on behind all of the blood and deceit. The second follows a similar style to the first but a bit less of the comedy and slightly less of the action as well where we get to know more about Koko and her secret, which has been going on before the Jonah’s recruitment. The series got slightly darker here as the crew changes from their usual arms dealer thing, as one would not expect from them. It was here where the story went down a bit for me as the ending arc didn't really scream out to me. But it was kinda happy so it was good. I gotta say, the whole series was entertaining. The first season was great. The second not so much. And it’s not like Code Geass where even though the second season was not as great, the ending was beautiful. No, not like that. The ending felt short of how it was kinda built up. It wasn’t satisfying to say. But it wasn’t bad as well. It was kind of decent. For the characters, we’ll start of with Koko. I actually had a problem with Koko’s characters due to her design. But I went pass it after the first episode. I could not stand her pointy jawline. It was so distracting for me. It looks weird on her. It reminds me of Kaiji from Gyakko Burai Kaiji. Moving on. I really like her character. Her personality stands out a lot, which actually suits how she fares in the story. She has a comedic side as well as a craziness side where both kind of pace the mood of the story. Even thrown in the face of danger, she is shown to be smiling at it in which her comrades find to be weird. She sorts of reminds me of some characters whom are already famous in the anime community. Despite dealing with weapons, she is shown to have pride where she dislikes dealing with drugs. Jonathan Mars or Jonah is a character that contradicts himself. Jonah is a child soldier so he obviously uses weapons, guns, to kill whoever he is told to and he is especially good at it. He does outright say it that he dislikes guns and whoever who uses them but still work under Koko even after knowing that she deals with them. I kinda of see him as finding himself or an answer to his contradicting problem as even though he despise guns, he finds it hard to get away from them. His character could be said to be a vital part of the story as Koko has a soft spot for him. But don’t get me wrong. It’s not as though Koko doesn’t cherish the rest of her crew (IFYKWIM). For the animation, it was good especially the action scenes, not that I’m belittling scenes other than that. But the fights definitely stood out especially the one with Valmet and Karen. It was amazing. It kind of reminded me of Black Lagoon where Revy fights against Roberta. Actually, who would win if Valmet and Roberta fight against each other? The soundtrack for the series feels like it adapts to the location they’re in or the situation they’re facing. It enhances and help the viewer to settle into the scene despite travelling to different countries immediately. The first season’s opening really stood out to me as despite not watching the series at that time, I rocked out to it a lot and still do occasionally play it when I feel like it. The prominent moment for me is whenever they have scenes where they close up on the eyes and the sky and clouds passing by reflects on it. Those scenes are just beautiful to me, where the “silence” speaks a lot. The best one would be Koko’s when she was bleeding from her head and the blood was flowing down her face. It really screams out her crazy personality. The eyes do remind me of the dolls in Another though. I actually really like watching Jormungand even though the ending wasn’t that good but it was decent where the series ended. I kinda want to know what happens after so hopefully there would a something about. My expected ending was a twist kind of where Jonah attacks Koko and her crew but hey, a happy ending works best. I am happy that I picked it up after it was finished airing but I don’t know if I would regret waiting picking it up when it was airing. After compiling the points gathered from Story, Characters, Animation Soundtrack, Prominent Moment and my Enjoyment, I give Jormungand 79/100. Most of the points belong to the Animation and Soundtrack as well as my enjoyment when watching the series as I was watching it back to back with DoTS where one was with an arms dealer while the other was against. I would recommend watching Jormungand to those who likes action s scenes and/or a main character that’s similar to Light in a way. If you like Black Lagoon, you guys could give this a try. 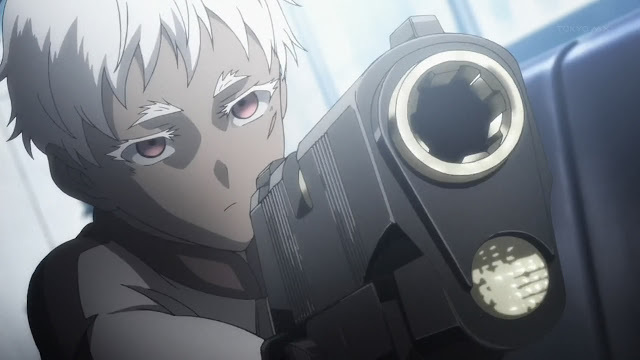 And that was my review of Jormungand’s two seasons. I am thinking of making another but have yet to decide what it would be. Something from my childhood perhaps or maybe something closer to me? 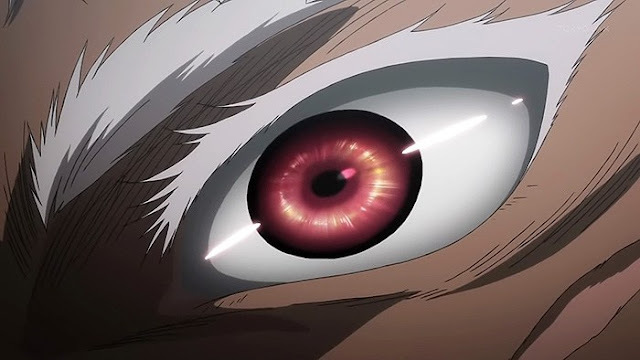 No Comment to " ReviewZ: Jormungand "